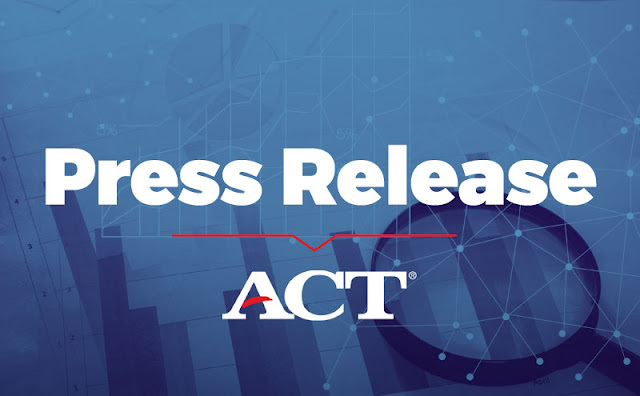 IOWA CITY, Iowa—ACT, the nonprofit learning, measurement and navigation organization behind the ACT® test, today announced a breakthrough software capability designed to guide students to education resources that address their individual learning needs. The Recommendations and Diagnostics (RAD) engine, delivered through an application programming interface (API), was recently integrated into ACT Academy™, ACT’s free online learning tool. ACT Academy helps students improve their academic skills by giving them access to the world’s leading collection of online learning resources. Each student receives a personalized study plan, based on ACT Academy’s diagnostics or scores on the ACT test, PreACT® or an official ACT practice test. While ACT Academy is the first online learning platform to integrate the power of the RAD engine, it will not be the last. ACT envisions many more potential uses of the capability in the future. RAD can be integrated into any system that has a set of learning standards underlying its instructional content and it was developed in such a way to make it adaptable by assessment and learning programs with ease and efficiency. For example, in addition to ACT Academy and the ACT® Holistic Framework® , the RAD engine may interface with other measurement resources based on skills hierarchies, such as specific state learning standards, Next Generation Science Standards and the Common Core State Standards. ACT is also partnering with Smart Sparrow - a courseware design platform provider - in order to deliver RAD in an easy-to-configure way to thousands of courseware design teams worldwide. Since its launch earlier this year, ACT Academy has helped more than 170,000 students improve their readiness for college and career for free. The Academy provides students with access to a huge collection of videos, interactives and quizzes designed to increase learning and prepare them for success on the ACT test and in college and career. With the addition of the RAD engine to ACT Academy, ACT now provides students with the industry’s leading personalized learning experience.